Danish fashion model. she gets listed by her elite agency as 5ft 9 and vital stats 34"-23.5"-34.5". 5-9. Elite discards anything under. The vast majority of on-line listings for Nina Peg her as being either 5'9" (175 cm) or 5'9.25" (176 cm)! It has to be said that she does sometimes look the full 5'9" but she also regularly gives the impression of being 5'8" - 5'9" range, or even less! She is btw 170-172 cm. I saw her,looked away shorter than me (175 cm). Legs of a 5ft 7 person. how tall Nina i these heels? Editor Rob: melani, those are pretty big 👠 I would expect her to measure a fraction over 6ft, like nearly 6ft 0.5 in them. Rob, how tall do you think fellow SI model Kate Bock is? You might consider adding her. She's listed at 5'11". To me, she can look anywhere between 5'10.5" and close to 6'0". What would be your guess? Lily had a little bit advantage of footwears but Nina looks 5'8" range for me. 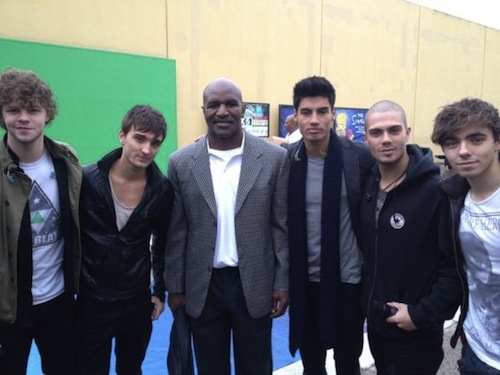 How tall do you think this Max George guy is? Even if many pictures are on the beach, so it's harder to guess, he really seems a bit taller than her... I'm just seeing he got described at 5'8 but he does look taller than that, like 5'10, if this girl is really 5'9! She has some pretty short legs. I would guess more 5'8-8.5" based on the Lily Aldridge pic posted by J.Lee. When she went to prom with that guy who said that he's "5'9 on a good day" so probably 5'8 range.. she was several inches taller than him in heels (he had dress shoes and a tux) so I'd probably say 5'8.5 as a safe guess. She got somewhere 1.76.Why not 1.76 Rob? Is that a huge difference between 76 and 75 and how do you understanad? Rob does Nina look an inch taller than Lily Aldridge? What a hottie...another one worth going out of your way to get a pic with Rob! She certainly has shorter legs for her height. She's a stunner! True that, Laf, many Danes exegerrate about their height even many actors. She has short legs for a girl of her height. I am only 5ft 6 but I feel like I have longer legs than her. Man, a gorgeous girl and probably six foot range in those heels.